Heat half the oil in a large saucepan over medium heat, add 2 cups (170g) of the broccoli and cook, stirring, for 3–4 minutes or until slightly softened and lightly charred. Remove and set aside. Heat the remaining oil in the saucepan, add the leek, garlic and ginger and cook, stirring, for 3–4 minutes or until softened. Add the remaining broccoli, spinach, water and fish sauce. Cover with a lid and cook for 10 minutes or until the broccoli is tender. Add the coconut milk and cook for a further 2 minutes. Remove from the heat. Using a hand-held blender, blend until smooth and creamy. 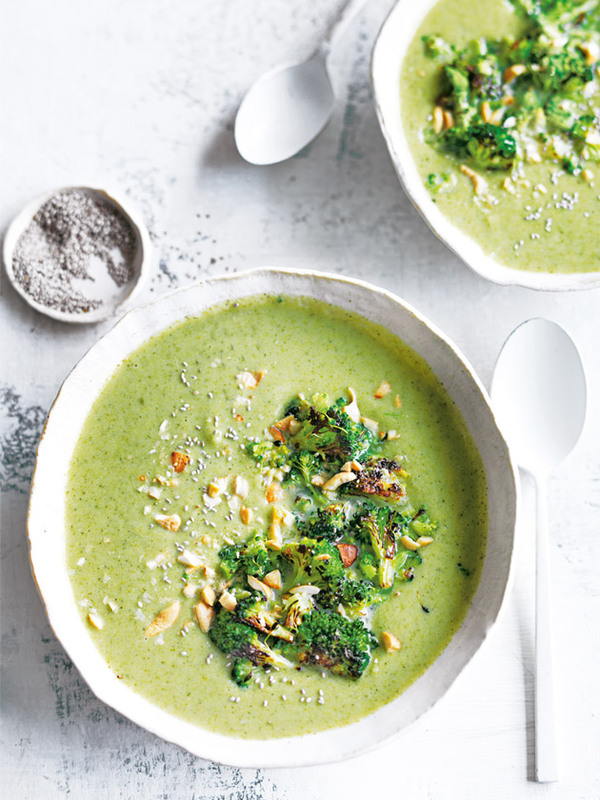 Divide the soup between bowls and top with the charred broccoli, cashew and chia to serve. Serves 4.